Catie Deitz-Griffith begins her first year as Artistic Director for Forum. She had previously served as Forum 2 Director for the past 5 years. Catie began her training in Newton, New Jersey where she studied the Royal Academy of Dance and Vaganova Ballet techniques. She furthered her training in New York City at the Joffrey Ballet School, Broadway Dance Center and Alvin Ailey American Dance Center. In 1999 Catie moved to Chicago to study on scholarship at the Giordano Dance Center. In 2000 she joined Giordano Jazz Dance Chicago II, and in 2002 joined Gus Giordano Jazz Dance Chicago where she remained a company member for 5 years. During this time, Catie became the Tour Ballet Mistress for the company and also worked as an independent artist, dancing for Nick Pupillo, Eddy Ocampo, Elijah Gibson and Jon Lehrer. She has had the pleasure of working with choreographers such as Gus Giordano, Randy Duncan, Davis Robertson and Margo Sappington. Since moving to Chicago, Catie has taught at a number of local dance studios where her choreography has won numerous awards including the 2016 Emerging Choreographer for Regional Dance America and has given her dancers an opportunity to dance in Dance Chicago, Walt Disney World, Regional Dance America, Youth Summit for the Arts and many other local venues. 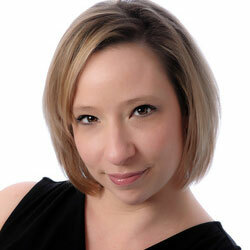 She is the Owner and Artistic Director of Elevations Dance Arts and Elevations Studio Company in Elburn, IL. Catie also became a certified Progressing Ballet Technique Instructor in 2017. Catie has been teaching at Talent Forum since 2006 and is thrilled to now be the Artistic Director of Forum Dance Theater.